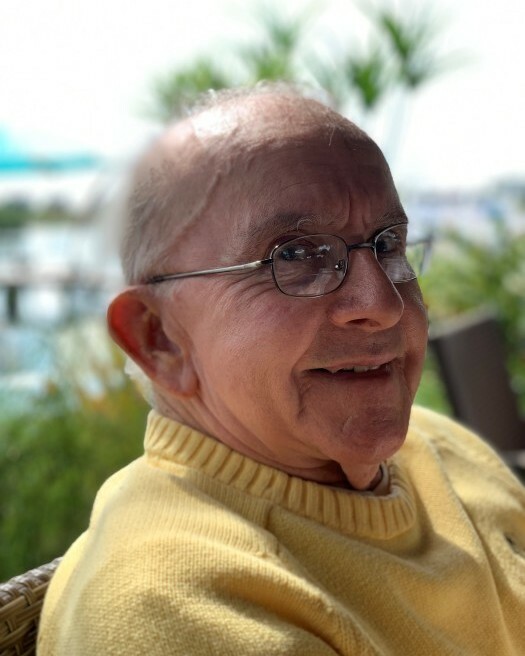 Kenneth Joseph Murphy, 83, of Little Silver, passed away on March 30, 2019. He was born in Jersey City to the late Kenneth and Ella Murphy. Kenneth was a devout catholic and was a parishioner of St. James RC Church in Red Bank and Church of the Precious Blood in Monmouth Beach. Kenneth was a registered patent attorney with the US Government, a member of the NJ State Bar Association, and he served in the New Jersey National Guard. He was a past Governor and Vice President of Sea Bright Lawn Tennis and Cricket Club. Kenneth was an avid tennis player, runner, golfer, and scuba diver. He was also a lifelong fan of the NY Giants and for the past 15 years chaired the USTA Men’s National Senior 65’s tennis tournament held at SBLT&CC. He loved to travel, particularly throughout the Caribbean, where he and his wife vacationed at many different islands, but they fell in love with St. Croix. There is nothing Ken loved more than spending time with his family, and for the past 15 years, he arranged so his children’s families could enjoy a vacation in St. Croix with him! He is survived by his beloved wife of 56 years Patricia A. Murphy, his loving daughters Kristine and her husband Kenneth Orr, Karolanne and her husband Richard Konefal, as well as his cherished grandchildren Christopher Konefal, Kathryn Orr, Elizabeth Konefal, and Sydney Orr. Visitation will be held at the John E. Day Funeral Home, 85 Riverside Avenue, Red Bank, NJ 07701 on Friday April 5, 2019 from 4 to 7 p.m. A Mass of Christian Burial will be held at St. James RC Church in Red Bank on Saturday April 6, 2019 at 11 a.m. In lieu of flowers memorial donations may be sent in Kenneth’s memory to Sisters of Charity Center, Development Office 6301 Riverdale Ave., Bronx, NY 10471-1093.